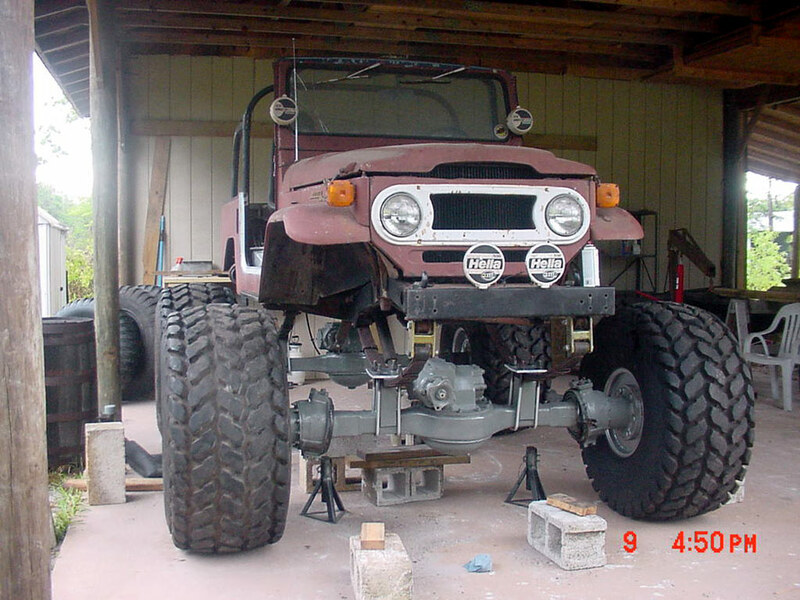 This is my 73 landcruiser. It is not finished yet but will be one day. 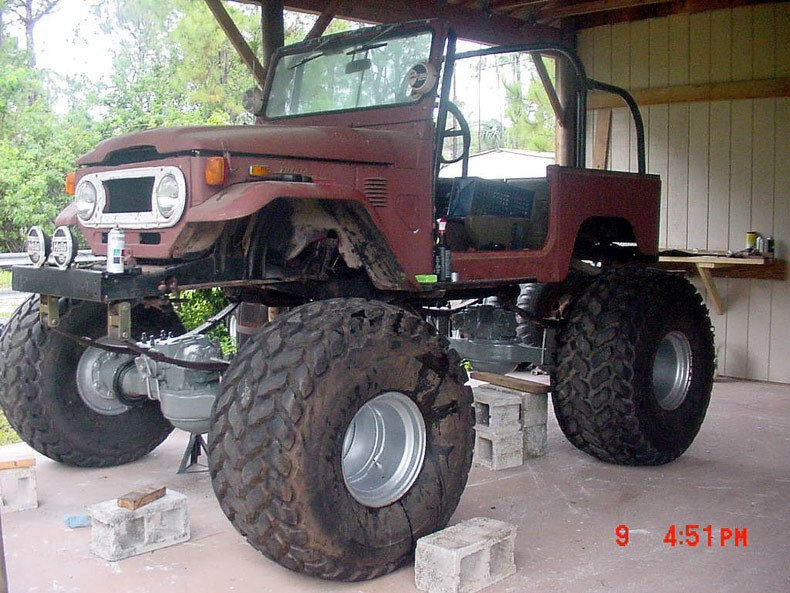 It is sitting on 2.5 ton rockwells and about 12 inches of lift. The stock engine is still in it but I have a 350 chevy for it.